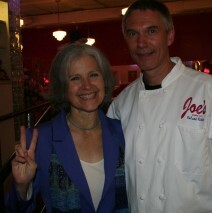 At 6:30 pm , there will be a dinner with Jill Stein at Joe’s Dining. A $20 prix fixe ( incl. tax and gratuity) 3 course meal will be served. RSVP Rick Lass at 505-920-0540 or email ricklass@newmexico.com .